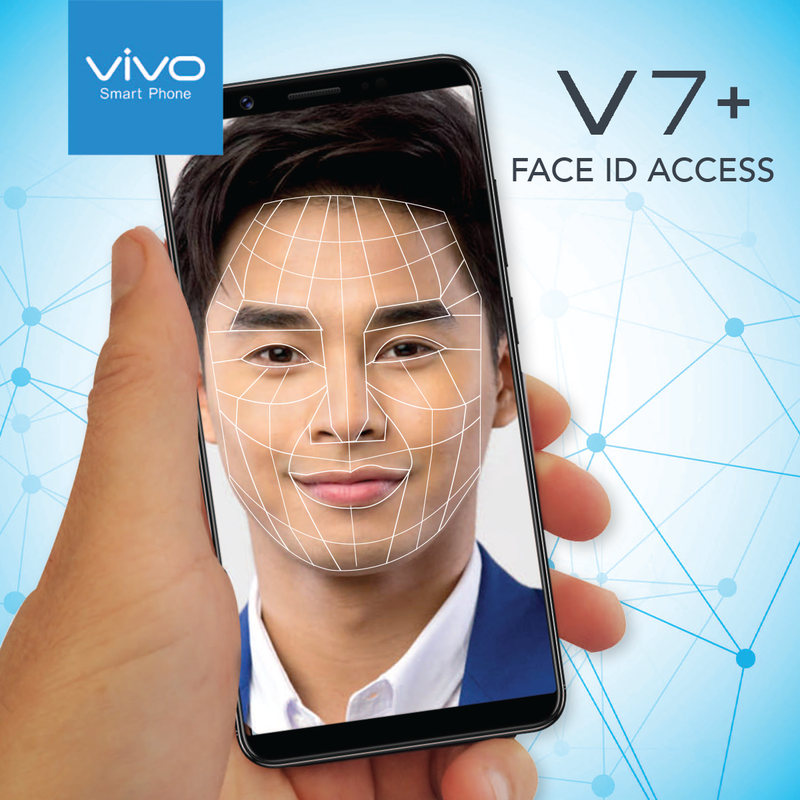 Vivo V7+ Face ID Access Feature - Hello! Welcome to my blog! If you ask people what makes a smartphone great, they would say it is the high technology features that makes a smartphone “smart”. Vivo V7+, in this regard, never disappoints. Boasting of a 24MP front-facing camera—an industry-first— with LED flash and smart photography algorithms provides for a clear-cut, crisp, and natural-looking photo, and a revolutionary 5.99” all-screen display with its 84.4% screen to body ratio, providing a more exciting and enhanced game and visual experience, the V7+ offers far impressive features than most of its counterparts. But what people are mostly raving about this newest Vivo offering is the Face ID feature. Putting the emphasis in “smart” in smartphone, the Face ID feature enables the V7+ to “wake up” with the user simply picking up the phone, raising it in portrait mode to unlock it and it is ready to go. True to the wonders of future technology, Vivo offers it in the now with the Face ID feature, a surely-safe security access to one’s smartphone, where phone unlocks with mere facial recognition. Vivo launched the V7+ in a grand unveiling last September 20 at the Marriott Hotel in Manila. Backed by hotshots Kathryn Bernardo and Daniel Padilla plus R&B sweetheart Julie Anne San Jose along with other big stars that make up the Vivo Family such as the likes of PBB Teen Big Winner Maymay Entrata, young matinee idol Inigo Pascual, teen idols Boyband PH, soul diva KZ Tandingan, and teen sweetheart Andrea Brillantes, among others, Vivo proves to be a brand that even huge celebrity influencers trust. The V7+, with its impressive, thumbprint features, is priced at only Php 17,990.00. Available in Matte Black and Champagne Gold—perfect shades for the hippest crowd. The Vivo V7+ is selling nationwide and is available at Lazada, Argomall and all Vivo concept stores and kiosks. [Gadget] Huawei Nova 2i is now here! Revel in Royce’s Wickedly Whimsical Halloween!